This page states the Terms and Conditions under which you, the website visitor (hereinafter “you” or “visitor”), may use this site, the content of which is owned by or licensed to Hottya Consulting, LLC. By using this site, you agree to be bound by all of the Terms and Conditions set forth below. If you do not accept these Terms and Conditions, please do not use this site. Hottya Consulting, LLC may, at its sole discretion, revise these Terms and Conditions at any time; therefore, you should visit this page periodically to review the Terms and Conditions. 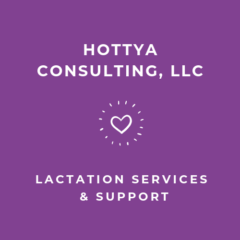 Hottya Consulting, LLC seeks to provide skilled and compassionate lactation support to families in the greater Phoenix area. Although Hottya Consulting, LLC strives for timeliness and accuracy in all of its materials, Hottya Consulting, LLC makes no representations, warranties, or assurances as to the availability, accuracy, currency, or completeness of this site or its contents. Hottya Consulting, LLC shall not be liable for any damages or injury resulting from your access to, inability to access, or use of this site, including, without limitation, any damages or injury arising from any links to other sites contained within or referred to in this site. Hottya Consulting, LLC is committed to preserving your right to privacy. Hottya Consulting, LLC does not collect identifying information about you (such as your name, address, telephone number, or email address) unless you voluntarily submit that information to us through our Contact Us page, our newsletter subscription pages, or other means. Please do not provide any confidential information (including health information) to us via electronic communication. Any information you do submit will not be sold to any third parties. If we publish any information you provide to us on the website, we will only disclose personally identifiable information agreed upon by you. If you are concerned about the information You have provided to Hottya Consulting, LLC or would like to review, update, or delete that information, please contact us at 480-420-8567. Hottya Consulting, LLC will make reasonable efforts to comply with your wishes. The Contact Us page is the primary means of communication with Hottya Consulting, LLC for a website visitor. Website visitors may use the Contact Us page to send questions or content suggestions to us. Any health information submitted through the Contact Us pages is not stored in a way that is personally identifiable. We may, unless you indicate otherwise, store, edit, and excerpt your email for use in Q&As, presentations, analyses, and other similar purposes. In these cases, we will delete any content that would specifically identify you as the writer of the email. The information provided through the Website is for educational purposes only and should not be considered medical advice. It is not meant to replace the advice of the physician who cares for you or your child. All medical advice and information should be considered to be incomplete without a physical exam, which is not possible without a visit to your doctor. The information on this site is not intended or implied to be a substitute for professional medical advice, diagnosis, or treatment. Hottya Consulting, LLC makes no representation and assumes no responsibility for the accuracy of information contained on or available through this website, and such information is subject to change without notice. All information provided on the website is general information provided for educational purposes. You are encouraged to confirm any information obtained from or through this website with other sources, and review all information regarding any medical condition or treatment with your child’s physician. Never disregard professional medical advice or delay medical treatment because of something you have read on this website. The only personally identifiable information that is actively collected by Hottya Consulting, LLC is email addresses of individuals who opt-in to our newsletter programs. These email addresses are only used for delivering our newsletters. Users may remove their email address from our list by using the unsubscribe link provided at the bottom of each newsletter. Hottya Consulting, LLC welcomes your comments on its site and content. However, you acknowledge that if you send us suggestions, ideas, notes, drawings, concepts, photographs, or other information (collectively, the “Information”), the Information shall be deemed, and shall remain, the property of Hottya Consulting, LLC . By submission of any Information to us, you assign to us and we shall exclusively own all now known or hereafter existing rights to such Information and shall be entitled to unrestricted use of the Information for any purpose whatsoever, commercial or otherwise, without compensation to you. As a user of this site, you are responsible for your own communications and are responsible for the consequences of their posting. Therefore, do not do any of the following: transmit to us material that is copyrighted, unless you are the copyright owner or have the permission of the copyright owner to post it; send material that reveals trade secrets, unless you own them or have the permission of the owner; send material that infringes on any other intellectual property rights of others or on the privacy or publicity rights of others; send material that is obscene, defamatory, threatening, harassing, abusive, hateful, or embarrassing to another user or any other person or entity; send sexually explicit images; send advertisements or solicitations of business; send chain letters or pyramid schemes; or impersonate another person. Hottya Consulting, LLC reserves the right to expel users and prevent their further access to this site for violating these terms or the law and reserves the right to remove any communications from this site. The violation of any of the terms and conditions set forth on this Terms and Conditions page shall result in the immediate revocation of your right to use the content and obligates you to immediately destroy any copies of the content in your possession. This site contains links to websites owned by third parties. These links are provided solely as a convenience to you and are not an endorsement by Hottya Consulting, LLC of the contents of those other sites. Hottya Consulting, LLC is not responsible for the content of any linked sites and makes no representations regarding the content or accuracy of materials on such sites. If you decide to visit any third-party sites using links from this site, you do so at your own risk. Hottya Consulting, LLC does not recommend, endorse, or make any representation about the efficacy, appropriateness, or suitability of any specific tests, products, procedures, treatments, services, opinions, health care providers, or other information that may be contained on or available through this website. Hottya Consulting, LLC is not responsible nor liable for any advice, diagnosis, treatment, or any other information, services, or products that you obtain through this website. Hottya Consulting, LLC does not warrant that the site will operate error-free or that the site or its server are free of computer viruses or other harmful material. If your use of the site or the site’s material results in the need for servicing or replacing of equipment or data, Hottya Consulting, LLC shall not be responsible for those costs. This site and its material are provided on an “as is” basis without any warranties of any kind. Hottya Consulting, LLC , to the fullest extent permitted by law, disclaims all warranties, including the warranty of merchantability, non-infringement of third parties’ rights, and the warranty of fitness for a particular purpose. In no event shall Hottya Consulting, LLC , its medical consultants, or any third parties mentioned in the site content be liable for any damages whatsoever (including, without limitation, incidental, consequential, or punitive damages, lost profits, or damages resulting from lost data or business interruption) resulting from the use or inability to use material on this website or sites linked to this website whether based on warranty, contract, tort, or any other legal theory, and whether Hottya Consulting, LLC is advised of the possibility of such damages. The contents of this site, including, without limitation, text, graphics, images, and other content (the “Content”) are owned by or licensed to Hottya Consulting, LLC and are protected by copyright under both United States and foreign laws. Unauthorized use of the Content violates copyright, trademark, and other laws. You agree to retain all copyright and other proprietary notices contained in the original Content on any copy you make of such material. You may not sell or modify our Content or reproduce, display, distribute, or otherwise use the Content in any way for any public or commercial purpose. Use of the Content on any other website or in a networked environment is prohibited. This site originates from within the United States. Hottya Consulting, LLC does not claim that the Content on this site is appropriate or may be used outside of the United States. Access to the Content may not be legal by certain persons or in certain countries. If you access the site from outside the United States, you do so at your own risk and are responsible for compliance with the laws of your jurisdiction. These Terms and Conditions are governed by the substantive laws of the State of Arizona, without respect to its conflict of laws principles. You agree to submit to the jurisdiction of the courts situated in the State of Arizona with respect to any dispute, disagreement, or cause of action related to or involving this site. If any provision is found to be invalid by any court having competent jurisdiction, the invalidity of such provision shall not affect the validity of the remaining provisions of these Terms and Conditions, which shall remain in full force and effect. No waiver of any of these Terms and Conditions shall be deemed a further or continuing waiver of such term or any other term. Except as expressly provided elsewhere in this site, these Terms and Conditions constitute the entire agreement between you and Hottya Consulting, LLC with respect to your use of this site.